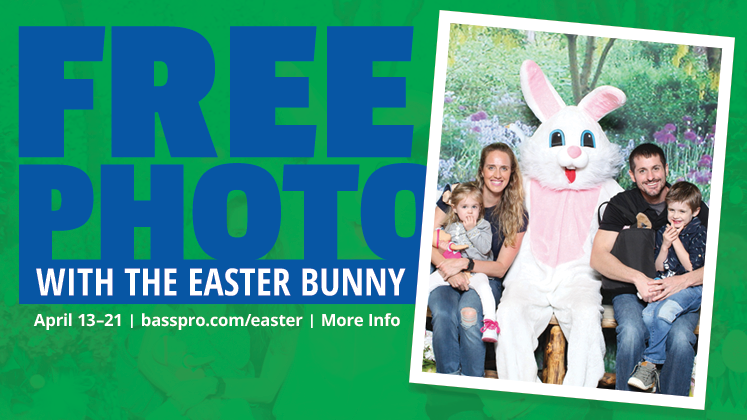 One FREE 4X6 photo PER FAMILY. FREE sharable email video card. Additional photo packages are available for purchase. Saturday, 4/20 - 2:00 PM - 3:00 PM. Registration begins at 1:30 PM. Each child may find and return 5 eggs to exchange for candy. *All crafts and giveaways are while supplies last. The March of Dimes annual March for Babies will be held at the Pinnacle. Registration begins at 9:00 a.m. in the Bass Pro Shops parking lot. Walk begins at 9:45 a.m.
For more info, visit https://bit.ly/2BLrdjU. 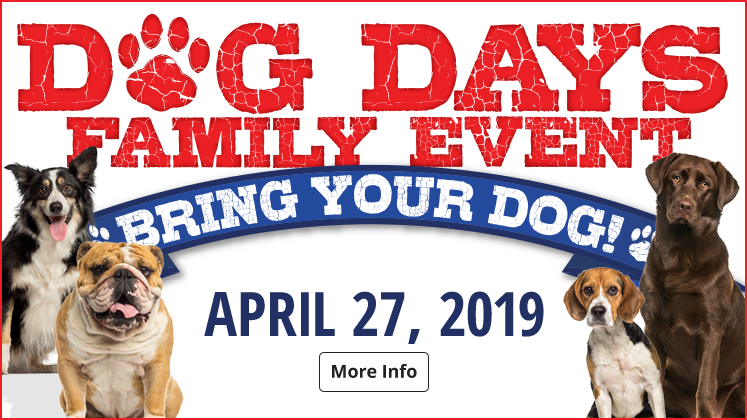 Join us for a day of doggone fun including: free gifts, free photo downloads and demonstrations. Whether it's Bluegill, Crappie, or Perch; catching panfish is fun for the whole family. Come get tips from our knowledgeable staff during these free seminars. 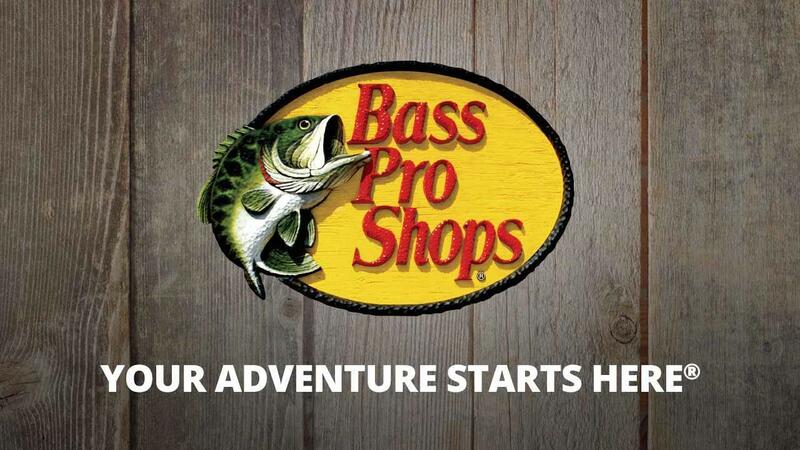 A unique experience for each of your senses-- come join us at Bass Pro Shops in Bristol, Tennessee. Our store is hand-crafted to reflect the uniqueness of East Tennessee. The water feature in front of the store greets you with calm and serene sounds as you walk to the store. As you walk through the doors, you step into a cozy atmosphere, complete with wood burning fireplace, hand painted murals, log cabin fixtures and our friendly staff, eager to create a once in a lifetime experience for you. Be sure to look around as you walk through the store, from the wide variety of wildlife mounts, to the unique animal prints in the floor, our store is an experience for each person in your family. More than just an outdoor store, we have something for everyone in the family. Whether you are interested in hiking, camping, grilling, fishing, hunting, or are even looking for a new wardrobe, we have something for you! 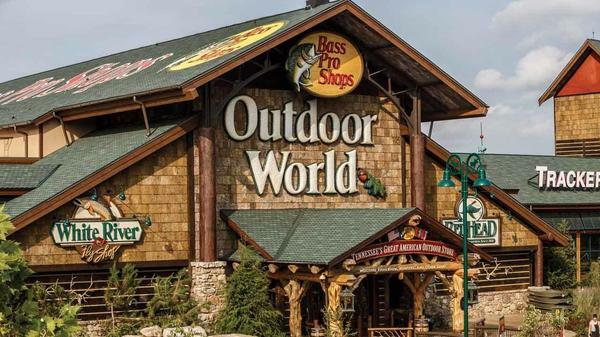 Our departments include: Gifts, Camping, Watersports, Tracker Boats, Hunting, Archery, Firearms, Fishing, White River Fly Fishing, Camo, Apparel, Footwear and more! What’s even better is that our friendly and knowledgeable staff will create a one of a kind shopping experience for you. Whether you are looking to pick out the perfect hiking boot for your next camping trip or find the perfect gift for a family member, our staff is here to help! As you walk down the main store aisle, your main focus will be our murals and fresh water aquarium complete with waterfall. The aquarium is teaming with fresh-water fish, native to the East Tennessee region. Above the aquarium you will notice a variety of mounts and hand painted artwork, including bear, deer and even an eagle! You might even get to participate in a fish feeding while you are here! Whether you have shopped at our store all day or are looking for a new family hangout, Uncle Buck’s Fish Bowl & Grill is the place to be. Featuring a unique underwater experience, our twelve lane bowling alley and full-service restaurant is sure to be a highlight of your visit to our store. You are greeted by scuba divers and mermaids as you walk through the doors of Uncle Buck’s, while you are seated at your table waiting for your delicious meal, be sure to look around and pick out your favorite shark or ocean creature. While you are bowling you may catch yourself holding your breath and thinking that you are really under the ocean! Featuring a private dining room, available to rent for parties and gatherings, Uncle Buck’s is a favorite location for birthday parties, company gatherings and more! After you have found your perfect gear, bowled a game, and eaten a delicious meal, you may find yourself wanting to learn more about what we have to offer. Aimed at creating a truly unique experience, our store has events going on almost all of the time! Events such as our Spring Fishing Classic, Fall Hunting Classic, Easter Event, Labor Day Hometown Festival, Santa’s Wonderland and Halloween Events are something that our guests look forward to each year. Come join us for fly tying workshops, fishing classes, archery and hunting classes, kid’s workshops, ladies’ only workshops and much more! We are constantly working to plan new events and would love to hear your suggestions! For information on our upcoming events, our store events page and Facebook page are the places to go! We can’t wait for you to visit our store, you will not want to leave! Every time you visit, you will notice something new or unique to our store that brings the East Tennessee way of life under one roof. For more information, please call 423-990-5200.